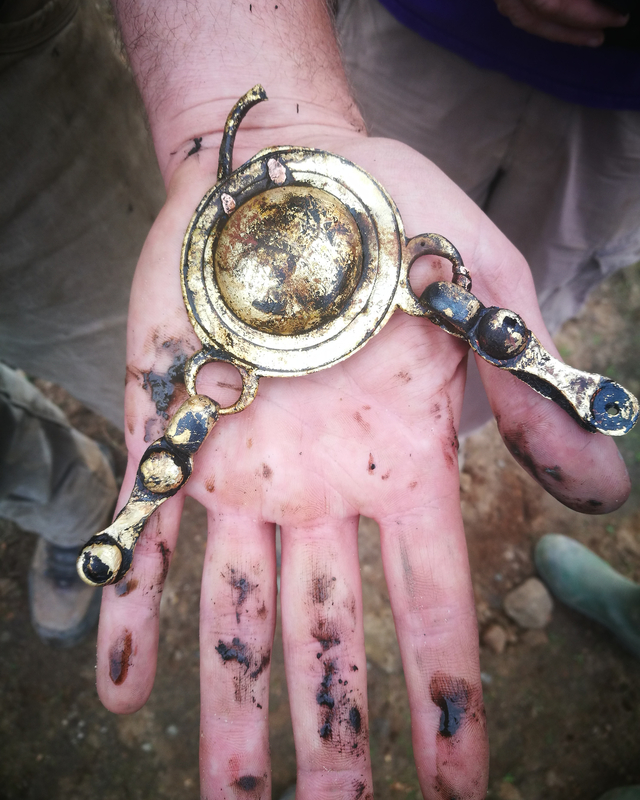 Speaking of banner dig seasons, this year’s excavations at Vindolanda Roman fort have unearthed a unique treasure: a large cache of weapons left behind on the floor of a cavalry barracks. The discovery of the barrack was momentous on its own. 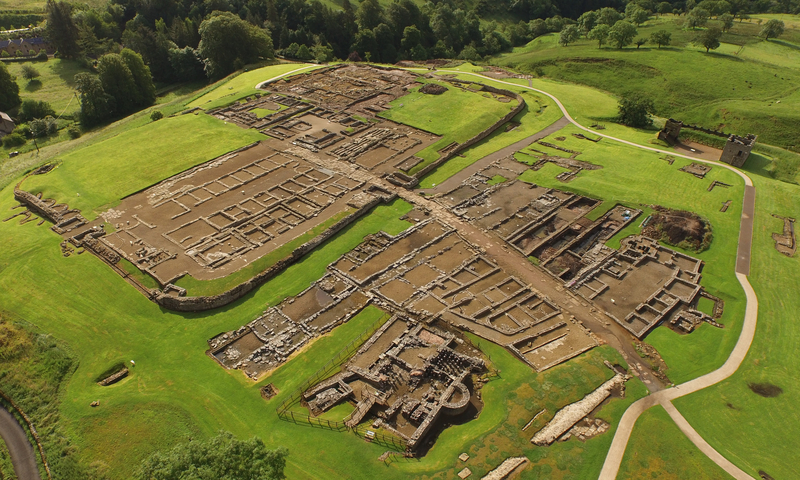 The team of archaeologists and volunteers dug underneath the stone foundations of the 4th century fortress (the last one built at Vindolanda) and found a layer of anaerobic soil. 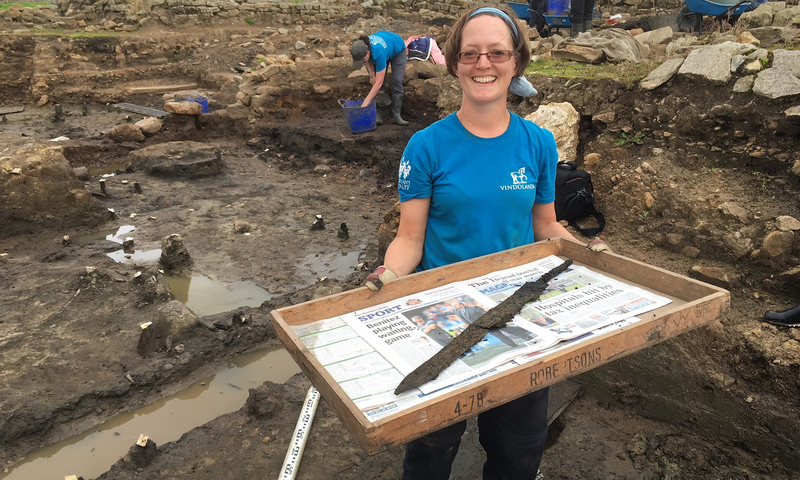 That has been the secret to Vindolanda’s exceptional preservation of organic materials likes leather shoes, wooden toilet seats, birch log water pipes and, its famous writing tablets. Archaeologists did not expect to find this type of soil in this location and were elated. Inside the oxygen-free soil layer, the team found timber walls, floors and fences recognizable from the remains of the stables as a Roman cavalry barrack. In total they’ve unearthed eight rooms — the stables, the living space for the humans, the kitchen ovens and fireplaces. The first blade was unearthed in a corner of the living room. The iron blade was still sharp and secured inside its wooden scabbard and the wooden pommel intact. 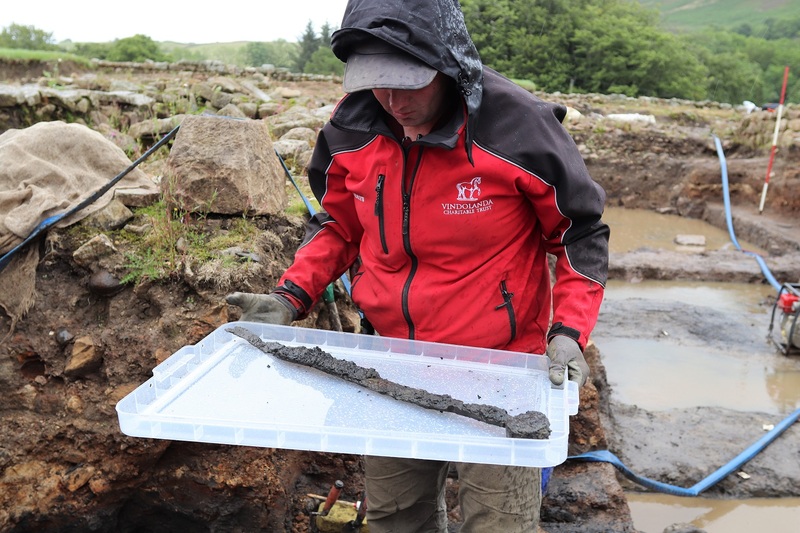 The numen of Vindolanda must be looking out for their archaeologists because a few weeks later the team found a second cavalry sword. 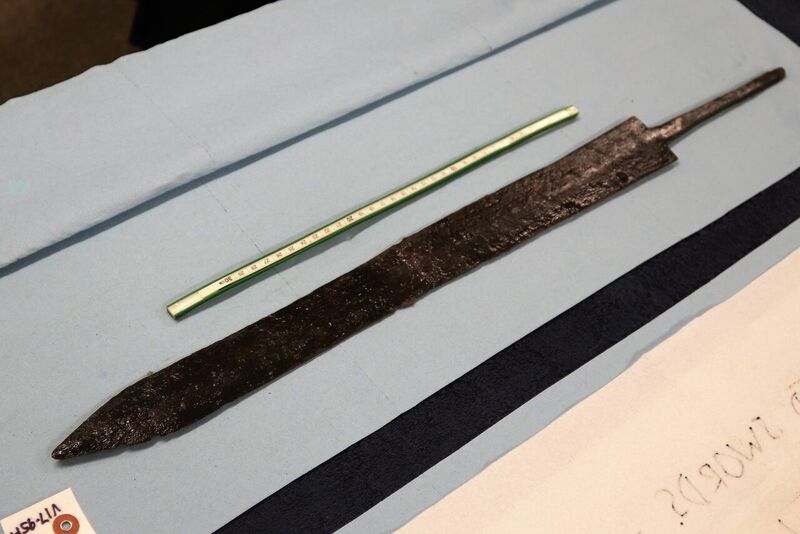 It was just the blade and intact tang this time — no handle or scabbard or pommel — but it’s an incredibly rare piece nonetheless and the team was ecstatic to have found two cavalry swords inside one month. Long and very thin, Roman cavalry swords rarely survive the ravages of time because they’re so easily destroyed by corrosion. They also found two wee wooden swords, toys for children, doubtless, and a massive quantities of assorted artifacts. Rubbing shoulders with swords real and toy were ink writing tablets, shoes, stylus pens, ink writing tablets, copper-alloy harness fittings, and even more weapons from cavalry lances to ballista bolts. The abandonment of such an exceptional (and expensive) assortment of goods left strewn on the floor of the barracks must have been occasioned by some impending danger. The barrack is one of the earliest built at Vindolanda. Constructed in 105 A.D., it predates Hadrian’s Wall by almost 20 years. At that time, it was host to military units from all over the empire, including the Belgians in the 1st Cohort of Tungrians and the Spanish Vardulli Cavalrymen. This entry was posted on Sunday, September 10th, 2017 at 11:59 PM	and is filed under Ancient. You can follow any responses to this entry through the RSS 2.0 feed. You can skip to the end and leave a response. Pinging is currently not allowed. “If it’s your sword or your child, you grab the child.” No wonder the Roman Empire perished – poor military discipline. “Tell your kid to grab the horse” ?!? Well, Dearieme, I think we can see how much or how little you value human life. To hell with the children, we’ve got to save the empire! I suppose that some Romans may have had an attitude like that, but we thought that we were past that. Plus ca change….. Hail Caesar!